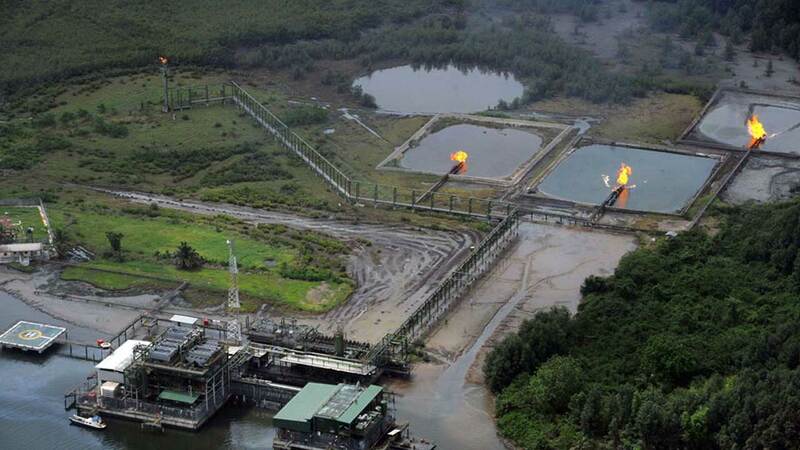 The rejection of the Petroleum Industry Governance Bill (PIGB) by stakeholders in the Niger Delta raises questions of parliamentary responsibility and people’s civic duty. Why the objection was not raised while the bill was being debated at the National Assembly (NASS) is also curious. The stakeholders and lawmakers from the region couldn’t have been in slumber. It took quite some time for the bill to be debated and passed into law and now awaiting presidential assent. The objecting stakeholders ought to have been on the alert. A lot of muscle is needed to stop the bill from being signed into law even if mistakes have been made. Nevertheless, it would amount to serious blunder, indeed failure on the part of the lawmakers, if the bill has not addressed the needs of the Niger Delta people and yet was passed, seemingly, unopposed by those affected. The Niger Delta have representatives at the Assembly who ought to have objected to the bill, given, especially, the fact that the region is volatile. The people need to be assuaged permanently by way of physical development. There is no doubt that the Niger Delta problem is a thorny national issue that cannot be taken for granted. A mutually beneficial and inclusive legislation could be useful in tackling the restiveness in the region. The current dilemma is: Stakeholders in the Niger Delta have reportedly cautioned President Muhammadu Buhari against signing the PIGB into law on the ground that it seeks to privatise the country’s oil and gas assets and to further impoverish the people of the region. 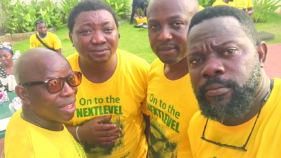 They warned that any attempt to privatise the oil and gas assets under the guise of the PIGB would reignite the clamour for resource control in the region. According to the Pan Niger Delta Forum (PANDEFF), the only oil reform bill that would be acceptable to the people of the Niger Delta is the original Petroleum Industry Bill (PIB), which earmarked 10 per cent equity share for the oil producing communities. 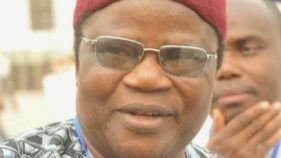 PANDEF further stated that any attempt to repeal the 13 per cent derivation, which is constitutional would reignite the clamour for ownership of all oil and gas resources by the host communities of the Niger Delta. The stakeholders further warned against the plan to repeal the Niger Delta Development Commission (NDDC) Act and abolition of the presidential amnesty programme. 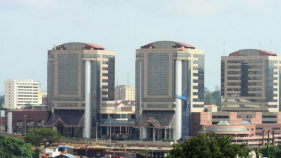 Besides, former Group General Manager, Corporate Planning and Development Division of the Nigerian National Petroleum Corporation (NNPC), Dr. Joseph Ellah, urged Buhari to resist the pressure to sign the PIGB into law, saying it is against national interest. According to him, the PIGB is a deliberate privatisation bill designed to strip Nigeria of all her oil and gas assets and impoverish the oil producing states of the country. He said every critical mind would know that the sole objective is to completely transfer the oil and gas assets of the federation to a few wealthy individuals waiting for the unbundling of the NNPC, which would pave the way for them to capture the oil and gas resources of the nation. He warned that if the president signs the PIGB, he signs himself, the Ministry of Petroleum Resources and Nigeria’s oil and gas assets away because the PIGB is aimed at selling off all the oil and gas assets to private people. He said the PIGB will drastically reduce the revenue accruable to the Federal Government, states, particularly, the oil-producing states. Ellah argued that some African countries such as Zambia and Ghana that privatised their copper and gold mines are yet to recover from the mistake of selling off their natural resources. The resources, he pointed out now belong to the multinationals that pay royalty to the respective national governments. Granted that the PIGB is only an aspect of the original Petroleum Industry Bill (PIB) that was split into four parts “for easy passage,” as deemed by the National Assembly, the Niger Delta should be considered in every aspect of the bill. It will be unfortunate if the new bill does not address their concerns, which could render it ineffective. As far as the oil industry is concerned, any bill that does not take the interest of the Niger Delta people into consideration is bad. The anomie in the region should be the focus for any remedial legislation pertaining to the area. Otherwise, such legislation is not worth it. Nigeria should gear towards solving the problems of neglect and abject underdevelopment of the Niger Delta permanently for peace. The real people own the land and not those masquerading as leaders who are after their own personal interests. Although, corruption is endemic, talking of repealing the amnesty programme or the Niger Delta Development Commission (NDDC) would create more problems. The same goes with the 13 per cent derivation policy. In the absence of any other better alternative, these provisions should be left as they are, at least for now. More important is the inexplicable delay in addressing the three other segments of the bill. At the moment, the President is on vacation, the National Assembly is on vacation, even the judiciary is on vacation. Who will listen to the Niger Delta leaders and PANDEF? This is to say that the National Assembly should take its job of representation more seriously.